Web sites that are built with the user in mind are also good for the search engines. If you build a site with sound information architecture principles, the site will triumph in the long term and withstand the algorithmic changes. KeyRelevance, LLC, a Dallas online marketing company, announced today that long time search marketer Christine Churchill will be teaching two of the Boot Camp solo training sessions at SMX London next week. 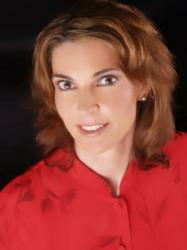 Christine is the President and CEO of KeyRelevance and is a well known search industry thought leader. Online businesses are constantly seeking to learn how search engine algorithms function so they can leverage that knowledge in order to improve their web sites' visibility online. Christine will be sharing her knowledge and over a decade of experience in online marketing to teach attendees how to create web sites that provide a good experience for both the user and search engines. Search Marketing Expo (SMX) Conferences, the premier conference series in the search industry, are managed by well known industry experts Danny Sullivan and Chris Sherman. The Boot Camp sessions are intensive training sessions in the most important areas of search marketing. Christine Churchill will be conducting the Boot Camp training for the Keyword Research and Copywriting for Search Success session as well as the Search Engine Friendly Web Design training session. The Boot Camp sessions will be held May 14, 2012 and the SMX conference will follow on May 15th and 16th in London. "The two Boot Camp sessions I'm teaching are all about the "secret sauce" for online marketing. Keywords are the foundation of search marketing and provide insight into the mind of the searcher and reveal user intent. Matching the right content to the right query is key to every facet of online marketing," says Christine. "If you combine focused keyword selection with a web site that provides a positive user experience and is easy for a search engine to crawl, you set your company up to win online. In my solo sessions, I'll be covering how to select the best keywords and ingredients for a site that is both appealing to human visitors and to search engines." "Web sites that are built with the user in mind are also good for the search engines. If you build a site with sound information architecture principles, the site will triumph in the long term and withstand the algorithmic changes. A user and search friendly site is easy to use, has intuitive navigation and is understood by the search engines. That combination only happens when a site is planned properly. My session is all about the process of developing that successful site." Christine states. KeyRelevance is a full service search engine marketing company based in Dallas, Texas that offers search engine optimization consulting, pay per click (PPC) management, social media marketing, blog optimization, conversion and usability enhancements, analytics, and online public relations. KeyRelevance's highly experienced staff plus proprietary tools and technologies help clients achieve their online marketing goals. For more information on KeyRelevance search marketing services visit http://www.keyrelevance.com, the KeyRelevance Facebook page, or call them at 1-972-429-1222.